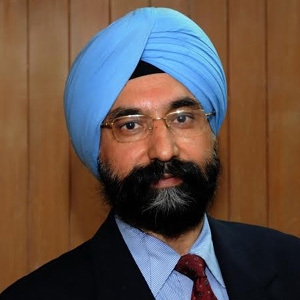 Rupinder Singh Sodhi is the Managing Director of AMUL, India’s largest food products organization with a turnover of INR 23,000 crores in 2015-16. He has 34 years of rich experience in leading and developing the cooperative sector within the Indian dairy industry, having served dairy farmers in several capacities. He has been responsible for creating the current structure of the AMUL, enabling the organization to maintain and enhance its leadership status within Indian dairy industry. Member Unions of GCMMF procure 170 lakh liters of milk per day from 18,545 Village Dairy Co-operative societies. He championed the use of information technology to seamlessly integrate the entire value-chain of Amul from ‘Cow to Consumer’.